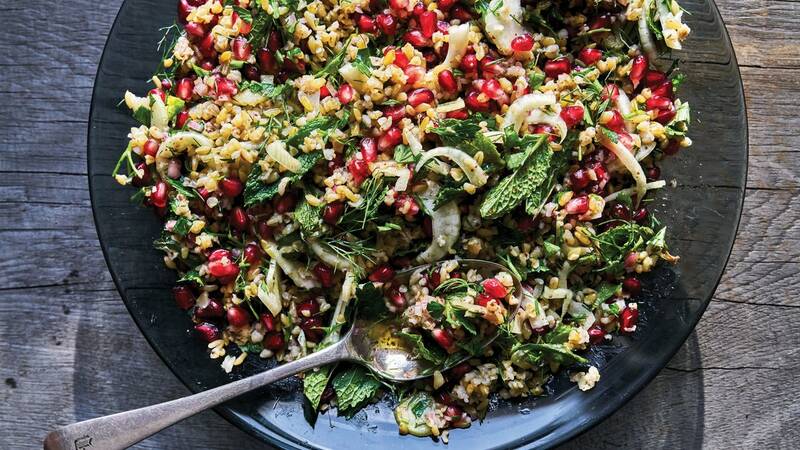 This nonconventional tabbouleh leans into the smoky, lemony flavor of freekeh, which gets played up even thanks to sweet-sour pomegranates and a punchy dressing, but feel free to sub farro, brown rice, or barley. Soaking the whole grains shortens the cooking time. This recipe is from Where Cooking Begins by Carla Lalli Music.